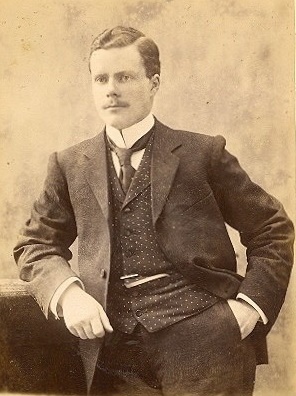 Frank Wilkinson was a partner in the family auctioneer and estate agent business in Brighton and Hove. He enlisted early in the war and was killed in the Battle of the Somme. Frank Wilkinson was born at Brighton 0n 4 April 1876, the eldest of six children of Thomas Wilkinson (1848–1930) and his wife Eliza née Rickards (1851–1929). Thomas Wilkinson was one of ten children born to Peter Richard Wilkinson (1814–1882) and his wife Elizabeth. 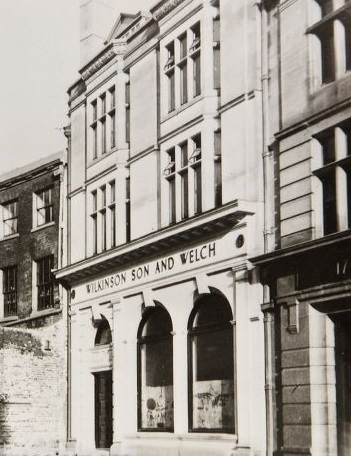 As a young man, he set himself up as a wine merchant, but after his marriage to Eliza Rickards in January 1874, he followed his father into the family auctioneering business, based at 168/170 North Street, Brighton. Frank was born on 4 April 1876, and baptised at St. Nicholas Church, Brighton on 25 May. His sister Edith was born in Brighton a year later. In 1878, the family moved to “Rye Croft” in the High Street in the village of Lindfield near Haywards Heath, where they remained until the death of Peter in 1882, following which they moved back to the coast, to live at 30 Brunswick Place, Hove. Frank’s sisters, Constance and Winifred, were both born in Lindfield (in 1878 and 1880 respectively), followed by Thomas Owen (born at Hove in 1883) and Janet (born at Hove in 1886). Frank was educated at Hurstpierpoint College, near Burgess Hill in Sussex, after which he joined his father’s business. At the 1901 census, Frank (aged 24) was described as an “auctioneer’s clerk”. Shortly afterwards, he was admitted as a partner in the family business, Wilkinson, Son & Welch, with Frank in charge of the firm’s branch at 30a Western Road, Hove. By 1909, Frank had moved to “Pound Hill” in the village of Framfield, near Uckfield where he lived with his sister, Winifred. At the 1911 census, aged 34, he was described as an “Auctioneer & Estate Agent”. Frank was a Fellow of the Auctioneers and Estate Agents Institute. Frank spent his holidays on the west coast and islands of Scotland pursuing his hobby of collecting birds’ eggs. He never married. Frank’s grandfather, Peter Richard Wilkinson, had been initiated into Old Union Lodge No 54 (meeting at Radley’s Hotel, Bridge Street, Blackfriars) in February 1838, but resigned in 1841 following his move to Brighton. After a gap of seven years, in May 1848 he was a joining member at Royal Clarence Lodge (then No 338, meeting at the Old Ship Inn, King’s Road, Brighton), where he remained until his death in 1882. Peter was also a founder member of Royal Brunswick Lodge No 1034 in December 1857 (although he resigned in 1861) and joined South Saxon Lodge No 390 in December 1856, but again resigned, after less than two years in the lodge. Thomas Wilkinson followed his father into Royal Clarence Lodge, where he was initiated on 21 May 1869, and remained in the lodge until his death in 1930. Frank (aged 22) was the third generation of his family to become a freemason, when he was initiated into Royal Clarence Lodge (now renumbered as No 271 and meeting at the Royal Pavilion) on 17 Jun 1898. He was passed to the second degree on 21 October and raised to the degree of a master mason on 18 November 1898. He served the lodge as Worshipful Master in 1908 and obtained the rank of Past Grand Steward. 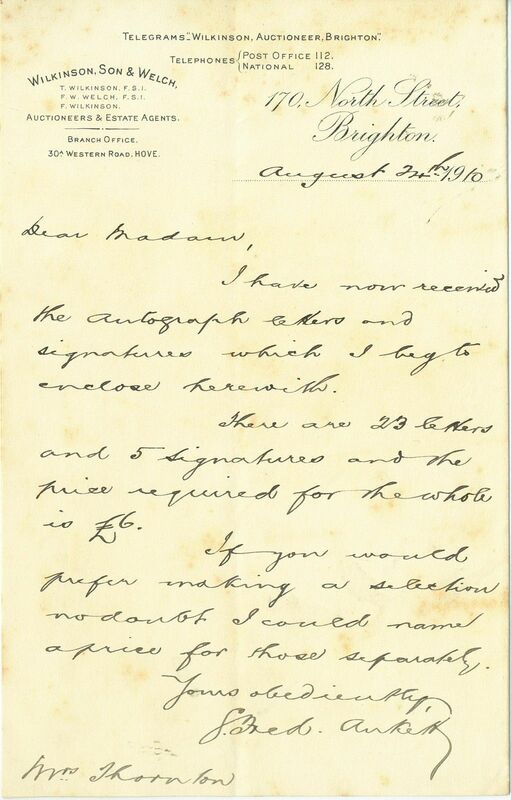 Despite being well over the normal age for recruitment, Frank (aged 38) enlisted at Brighton in September 1914, shortly after war was declared, joining the 20th (3rd Public Schools) Battalion, The Royal Fusiliers (City of London Regiment) with service number PS/5967. Being much older than most of his comrades, Frank was nicknamed “Pa”; by the time of his death, he had been promoted to the rank of Corporal. 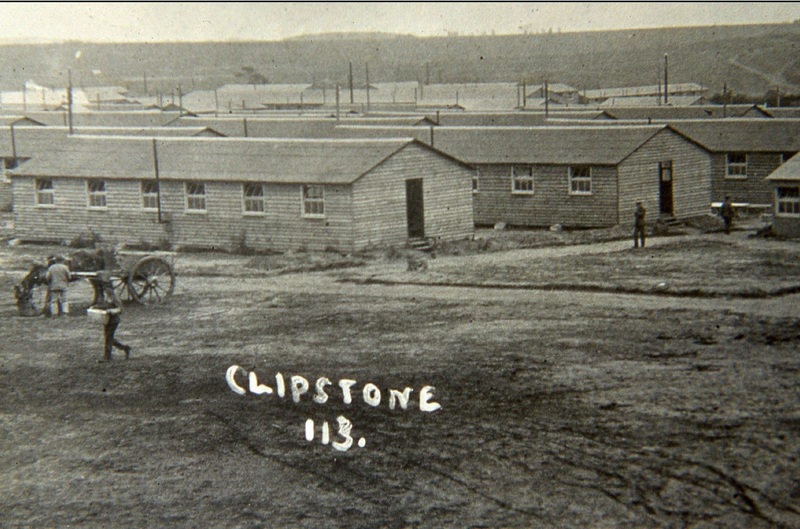 The 3rd Public Schools Battalion was raised at Epsom on 11 September 1914 by the Public Schools and University Men’s Force. Following initial training near home, on 26 June 1915 they joined the 98th Brigade, part of the 33rd Division. The division was largely comprised of locally raised units often known as “Pals”, with units raised by public schools, footballers and other sportsmen among others, mainly from southern England. 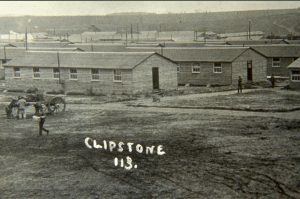 In July 1915, the division concentrated at Clipstone camp near Mansfield in Nottinghamshire and in August they moved to Salisbury Plain for final training and firing practice. Frank was sent with the battalion to France on 14 November 1915, arriving at Morbecque, near St. Omer a few days later. On 27 November, the 33rd Division was reorganised and strengthened, with the 20th Battalion transferring to the 19th Brigade. The division served on the Western Front for the duration of the war, with its first major engagement coming in the Battle of Albert (the start of the Battle of the Somme) in July 1916, before moving on to the Battle of Bazentin Ridge (14–17 July). Following the success at Bazentin Ridge, the allies sought to take the nearby woodlands known as “High Wood” (correctly called “Bois des Fourcaux” (Pitchforks Wood)). The wood is situated just north of the villages of Bazentin-le-Petit and Longueval, and stands on a slight ridge with views over the surrounding countryside. The wood had been heavily fortified by the Germans and the attempts by the British forces to capture it had commenced on 14 July. Although the initial attack had forced the Germans out of the wood, they subsequently re-captured it and on 20 July the British launched a fresh attack, with the 20th Battalion Royal Fusiliers being in support of the 5/6th Battalion Scottish Rifles. The British opened an artillery barrage at 2.55 a.m. and, 40 minutes later, the leading units of the Scottish Rifles forced their way into the wood, where they came under heavy machine gun fire. As the Fusiliers were moving forward to get into position, a German shell landed amongst them causing about 20 casualties. The lower half of the wood was in British hands by dawn but machine guns were taking a heavy toll with the Fusiliers command structure destroyed as the battalion dug in to face a counterattack. During the early afternoon, reinforcements from the 2nd Royal Welsh Fusiliers arrived, enabling the troops to be rallied and push further forward and all but the northern edge of the wood was later in British hands. At dusk, the Germans lashed the area with shell and machine gun fire, forcing the British to give up the northern half of the Wood which was quickly occupied by the enemy. The two sides dug in and the Fusiliers were relieved at one o’clock the following morning. 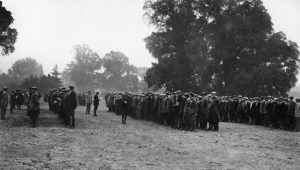 The regimental diary records that 390 officers and men, two thirds of the effective strength of the 20th Battalion, had become casualties, of who 139 were killed on 20 July. High Wood was finally secured on 15 September. It is estimated that the remains of 8,000 men may still lie in the wood one of which is Frank Wilkinson whose body was never recovered. As his body was not recovered, Frank is one of over 72,000 men commemorated on the Thiepval Memorial to the Missing of the Somme, who have no known grave. He is also commemorated on the Hove Library war memorial and the Chapel Memorial Tablet at Hurstpierpoint College. Frank was awarded the 1914–15 Star, British War Medal and the Victory Medal. Frank’s younger brother, Thomas Owen Wilkinson was a professional soldier with the 91st Punjabis, having been commissioned in October 1902. The regiment moved from their base in Burma to Mesopotamia at about the time of Frank’s death, and participated in operations on both the Tigris and the Euphrates Fronts, including the First Battle of Ramadi. In 1918, the regiment moved to Palestine and took part in the Battle of Megiddo, which led to the annihilation of the Turkish Army in Palestine. 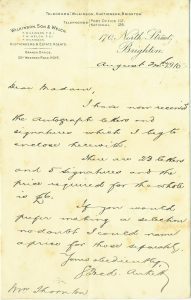 Thomas obtained the rank of Major in the Indian Army in 1918. He was also a freemason, being initiated into Royal Clarence Lodge in August 1902. He joined Meiktila Lake Lodge No 3426 based in Meiktila, Burma in 1909. Special thanks to Jim Wilkinson for permission to use the portrait of Frank Wilkinson.